For the past few months, we have gone extra miles in developing and improving our Magento 2 extensions. 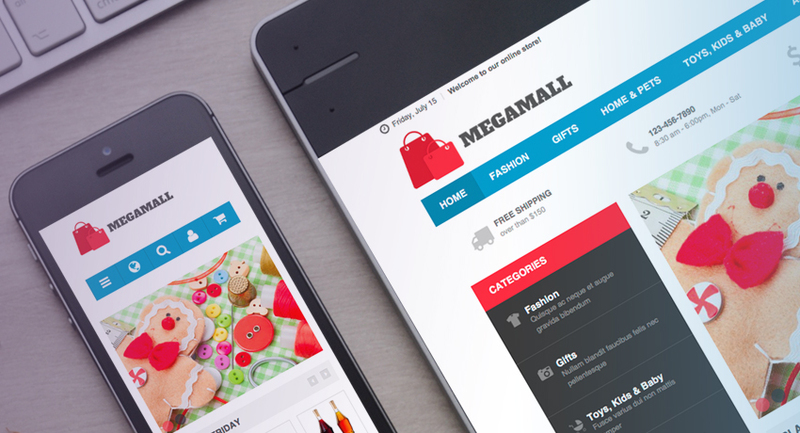 Some of these extensions also compliment our responsive Magento 2 themes. The goal is to bring improved native features in our extensions and themes and make it easier for you to set up new Magento 2 stores. 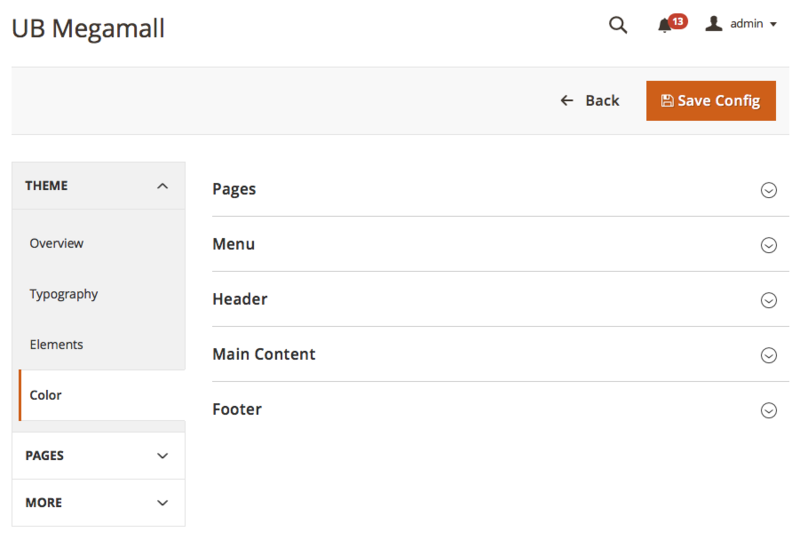 With UB Mega Menu for Magento 2, you can create and manage both Horizontal and Vertical menus with ease. It is a dynamic and responsive menu solution for you to display all the categories from the Catalog onto the menu and stack any promotional content you wish, such as product images, videos, banners, links and so on. You can flexibly manage these mega menu items via Widget management module (Content/Widgets), CMS Blocks, XML. Keep in mind, among these features is a possibility of importing categories and sub-categories into the your Magento 2 navigation. As UB Mega Menu allows your customers to access most of your site’s pages, at a glance, it encourages them stays longer on your store, and thus the more chances you have for a conversion. Read our Magento 2 Mega Menu introduction blog post for more details. UB Mega Menu used in our [M2] UB Bookshop theme -- All the categories, featured products and an advertising banner are also easy to display. The trending Off-Canvas navigation is a common and extremely useful mobile pattern for navigation. When it comes to responsive design and mobile display, off-canvas panels are positioned outside of the viewport and slide in when activated. Depending on specific Magento 2 theme you use, off-canvas layouts can open from any direction, left, right, top, and bottom. It allows to have up to 2 or 3 panels and keeps the content ready to be displayed differently depending on devices’ width. Every store is different when it comes down to design preferences, and making theme styles for each store takes good amount of time. What is an easy and fast way to control over the look, content and functionality of your Magento store? UB Theme Helper is our ambition to deliver one of the most convenient setting panel for you to customize your Magento 2 themes, from adjustment of the colors of fonts, background image, to adding custom CSS etc. This sets you free from the old customizing method: editing the source files. All of our Magento 2 themes will have UB Theme Helper extension as core feature bringing you great flexibility in theme customisation (read UB Theme Helper blog post for details). With Magento 2 Quick View extension, your shoppers can quickly look at an item and add products to cart right from the pop-up window without reloading the page. With only one click, the customers can have a quick access to the product details directly from the Category page. 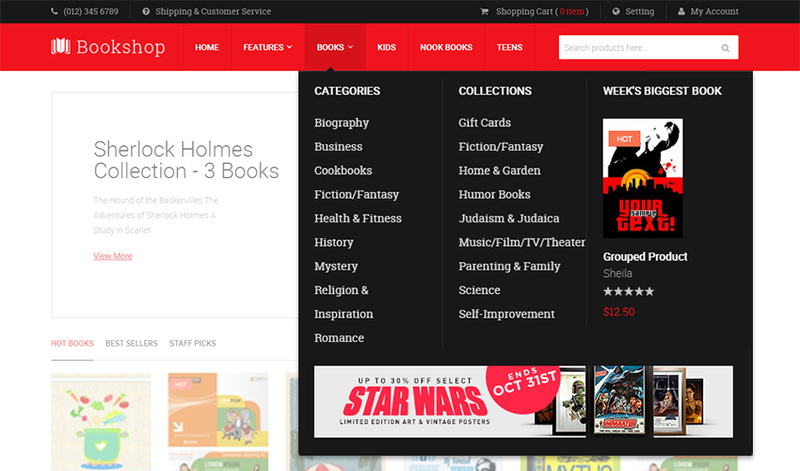 This helps to speed up catalog browsing and brings a convenient experience to the shoppers. You can turn it on or off right from the back-end. Magento 2 quick view with product details, just one click away. The extension allows you to easily and elegantly display a list of products, images or uploaded videos in slide with cool effects. You have full control of rich backend configs covering content types, animation control, images size, auto sliding, slider paging and more. With the help of widget module manager, you can add unlimited number of sliders to any position on your Magento 2 store. In case the content you select is Magento 2 product categories, you can flexibly load Latest / Hot / New or Random products into the slide at your choice. UB Instant Layered Navigation provides a richer user experience for your customer and let customers browse your product catalog by any number of filters via vertical and horizontal navigation menus without full page reloads. The extension is particularly well suited for a big store with multiple catalogs of products or products with a number of attributes. 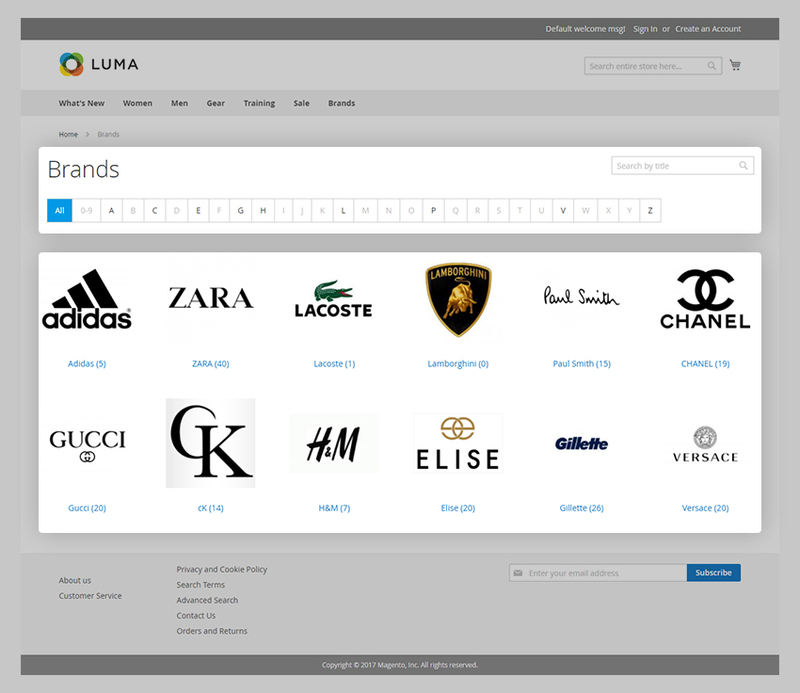 It provides useful filter options that help you create a more meaningful, interactive experience for your customers, such as visual color swatches, price slider, checkboxes etc., All of these filters used in combination create an easy-to-use layered navigation that enables customers to find what they’re looking for instantly. No need to worry about impact to SEO because the extension preserves the attribute links for you. The extension ensures all category pages visible to search engines and avoid drawbacks of duplicated content. 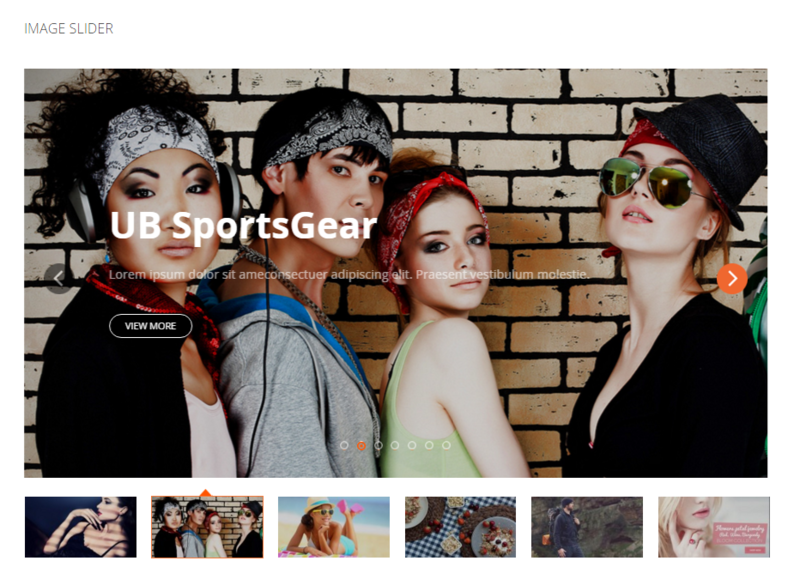 Besides, Shop By Brand is also packed for free in UB Instant Layered Navigation giving you a handy functionality to add pages for brands. This enables customers to filter brands on a brand listing page or on any category page (read UB Instant Layered Navigation blog post for details). The checkout is a key element of any ecommerce store and the single most effective functionality that you have full control to reduce shopping cart abandonment. With the help of UB One Step Checkout, you have a great alternative for native Magento 2 checkout. Not only does it simplify and place all checkout steps on one responsive page for your store, but you can also flexibly select a 2- or 3-column layout that fits you most. Coupled with rich backend configs, you have full control to set up one page checkout with ease, such as flexible layout types, checkout fields, delivery date & time, delivery notes etc. As ecommerce stores are all about improving sale conversion, chances are that you might lose customers with each additional clicks that they have to do. With UB One Step Checkout, this problem is in the past now. 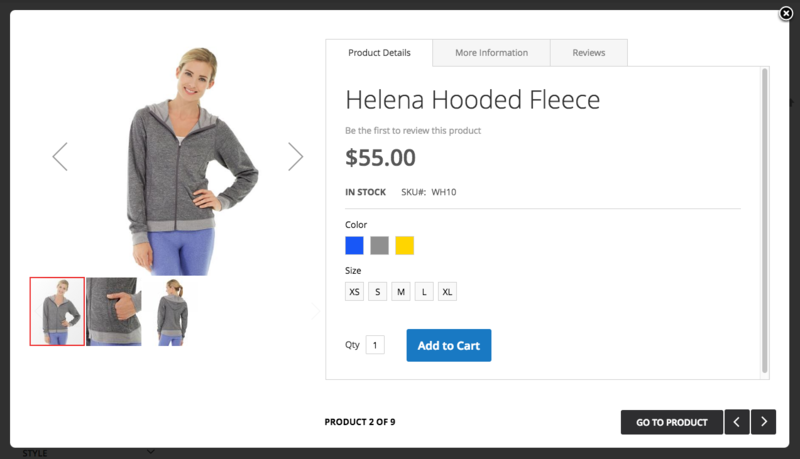 The extension allows your customers to edit their orders right on the checkout page without page reloads. And with the help of Google Autosuggestions and GeoIP2 API integration, customers can speed up their checkout process even faster. 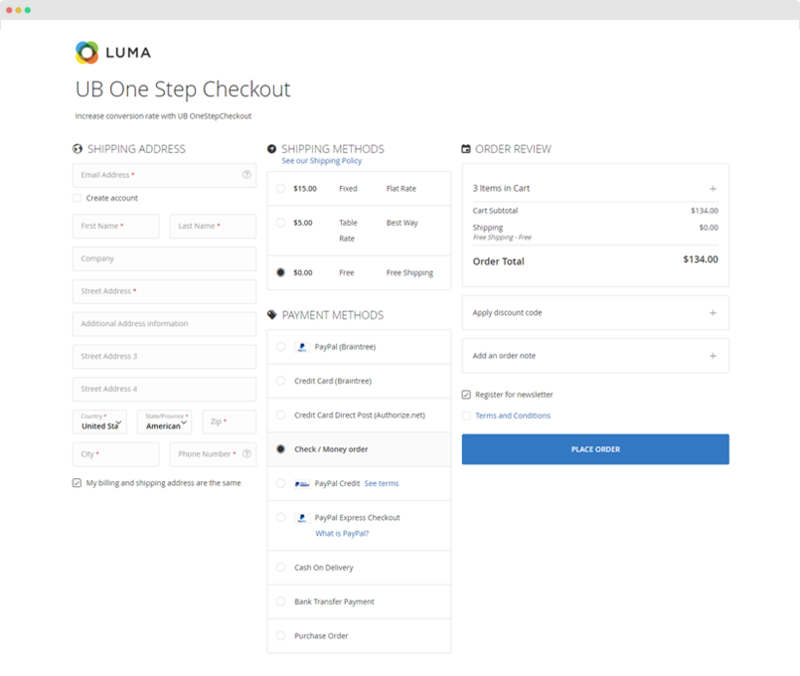 UB One Step Checkout is a must-have for the store owner looking for a way to increase sales conversion by reducing shopping cart abandonment. Installing a fresh Magento 2? The 7 extensions above are a good list for you to start with. 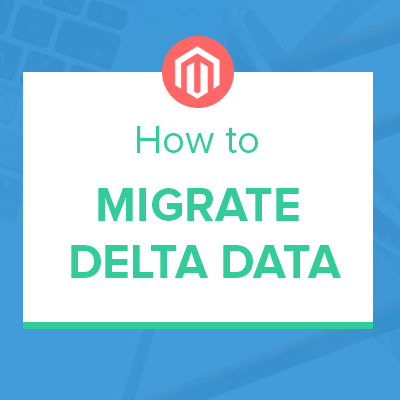 But if you’re thinking of migrating your Magento 1 website over, let’s start off with UB Data Migration Pro extension -- a handy migration tool for any merchant, with or without programming skills. Even though migrating data to Magento 2 is not as simple as a quick ‘fix at all’, UB Data Migration Pro simplifies this task for you. 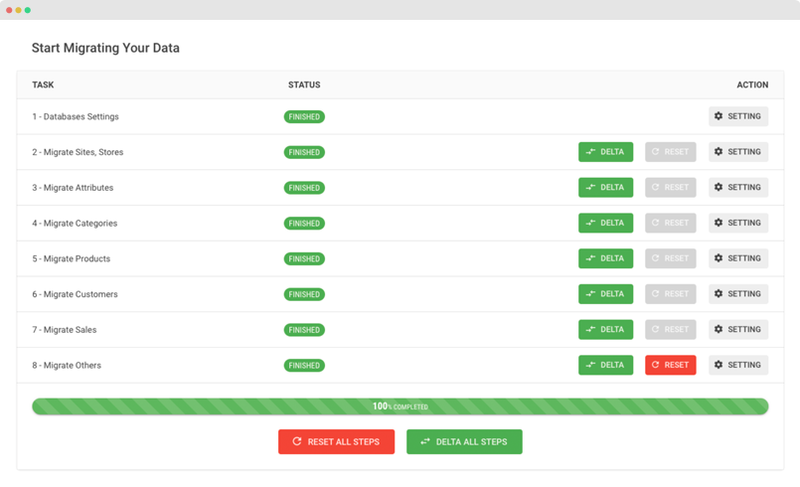 With 9 visualized steps, migration process is self-explanatory and easy to follow. A command-line interface (CLI) is also in place and especially helpful for a large scale Magento store with hundreds of thousands of records. We had chance to use our Pro version smoothly for a pretty large data migration project -- migrating 382,047 customer entities to Magento 2 for Winetasting.com. This UB Data Migration video will provide you a closer look into the whole migration process. Given all this, it’s always helpful you should consider a migration tool like UB Data Migration Pro. It will definitely do all heavy lifting for you. Extensions are essential components that provide enhanced features and extend the functionalities of your Magento 2 store. The success of your Magento 2 project will come down to careful selection of built-in extensions and theme. In order to get to market quickly, we recommend you considering our afore-mentioned Magento 2 extensions. Coupled with an intuitive setup, these extensions are helpful for you to make your shop stand out. While we are working on introducing more new features and extensions for our members, let us know if you want us to work on any specific feature that you would like to see in our Magento 2 extensions and themes. We would be considering these (popular features) when upgrading our products too.